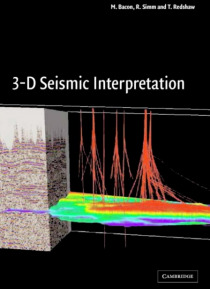 3-D seismic data have become the key tool used in the petroleum industry to understand the subsurface. In addition to providing excellent structural images, the dense sampling of a 3-D survey makes it possible to map reservoir quality and the distribution of oil and gas. Topics covered in this book include basic structural interpretation and map-making; the use of 3-D visualisation methods; interp… retation of seismic amplitudes, including their relation to rock and fluid properties; and the generation and use of AVO and acoustic impedance datasets. This new paperback edition includes an extra appendix presenting new material on novel acquisition design, pore pressure prediction from seismic velocity, elastic impedance inversion, and time lapse seismics. Written by professional geophysicists with many years' experience in the oil industry, the book is indispensable for geoscientists using 3-D seismic data, including graduate students and new entrants into the petroleum industry.